At The Priors Dental Practice our highly trained Specialist Orthodontist, John Scholey, can offer a wide range of different appliances to give you a perfect smile. These can vary from invisible removable aligners and lingual braces (glued behind the teeth) to cosmetic, tooth coloured fixed ceramic braces and more conventional metal braces. Treatment time can vary from as little as a few months to a couple of years depending on the type of problem treated. After a detailed consultation John will be able to discuss which treatment options will be most suitable to achieve your goal in your desired time frame. 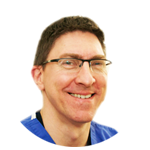 As a Consultant Orthodontist John has much experience in the treatment of both children and adult patients and undertakes many complex interdisciplinary treatments with his colleagues in the hospital and with our principle dentist Mark Emms. John is a registered specialist in orthodontics. As well as offering private treatments here at The Priors Dental Practice, John is the lead consultant Orthodontist at the University Hospital of North Staffordshire where he treats a range of complex cases in both children and adults including many multidisciplinary cases. 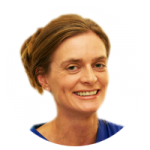 Karen completed her specialist orthodontic training at Oxford University Hospitals and The Eastman Dental Institute, London, a world-recognised centre for postgraduate dental training. She has won both national and international prizes for excellence in her field.